Mt. Chojagatake (長者ヶ岳) is one of the great hiking with a beautiful view of Mt. Fuji located on the west side of Mt. Fuji, Shizuoka Prefecture. The route is about 10km long and it takes about 5 hours of hiking. The altitude of Mt. Chojagatake is 1,336m. 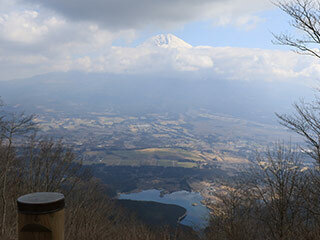 This hiking trail starts from Lake Tanuki that has a beautiful view of Mt. Fuji. Also, on the trial and the top of Mt. Chojagatake, you can see a beautiful view of Mt. Fuji. Drive route 139 north and change to Lake Tanuki. Mt. Chojagatake and Mt. Tenshigatake hiking trail is a popular hiking trail located in Fujinomiya, Shizuoka Prefecture. It is a circuit trail to visit both mountains and lake Tanuki. Each spot has a beautiful view of Mt. Fuji. Course Time: about 5 hours.